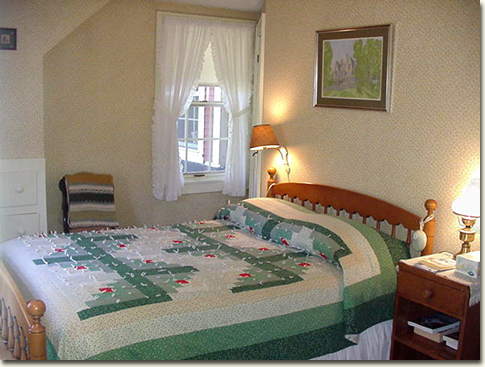 This is the room that Grandma stays in when she comes from Maine for a visit. It has a low double bed (with a foam eggcrate on the mattress) and a seat in the shower so you can relax as you bathe. The room is carpeted and has drawers built into the wall in the olde New England tradition of utilizing all available space. It's a sunny room in the afternoon with views of the mountains to the west.